Pop and Protest: the Musicians Union in the 1980s is a journey through the campaigns and memorabilia of the decade which saw membership of the union reach 40,000. The exhibition illustrates the ways in which the Musicians’ Union sought to improve the lives and employment rights of performers. During this politically charged decade, members tackled anti-union legislation and spending cuts to music education thrown at them by the Conservative Government. They protested the mistreatment of performers during a series of orchestra strikes and raised awareness of racial discrimination in the UK and apartheid in South Africa. 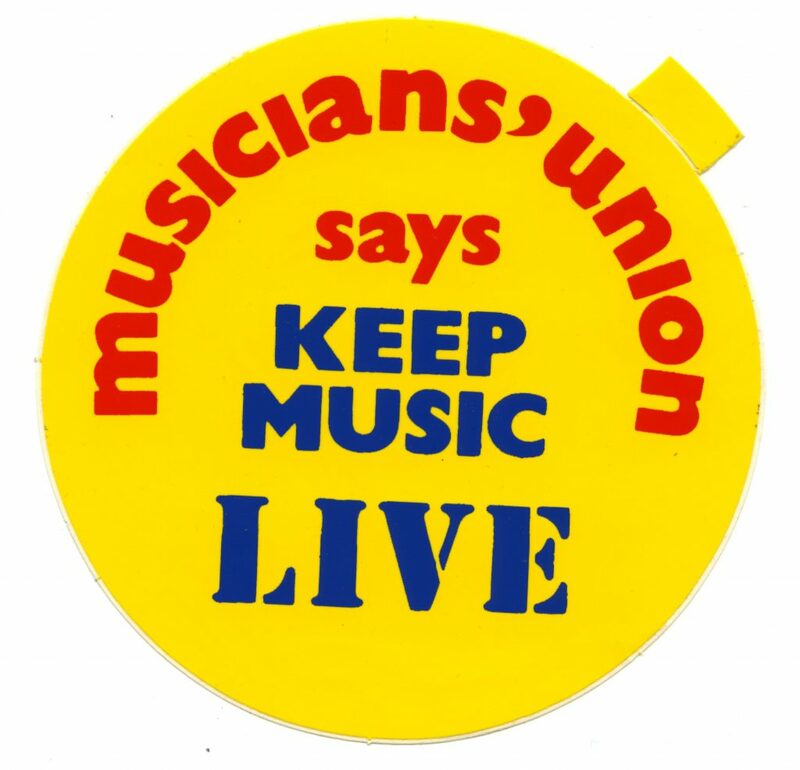 Images and archive material about the flagship campaign ‘Keep Music Live’ have been used to highlight the importance of live music when new technology threatened the job security of live bands and singers. 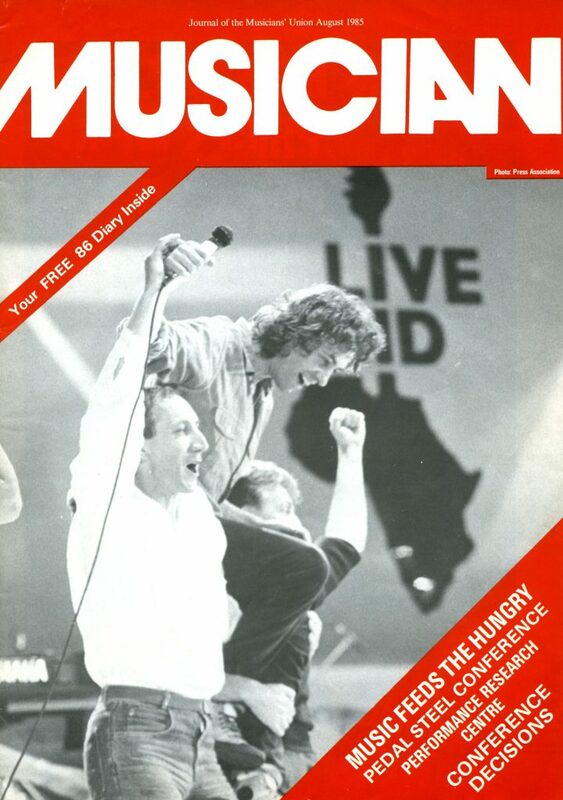 Musicians’ Union members also used their talents to raise funds for famine relief by contributing to 1985’s Live Aid concert.